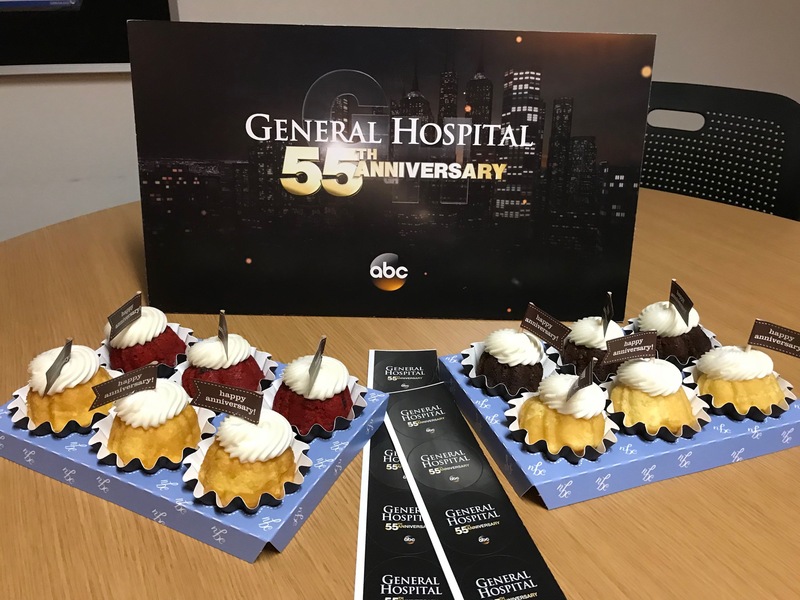 Can you believe that General Hospital is 55 years old?! I was invited on an expense-paid trip to Los Angeles by Disney to attend the #HanSoloEvent and #ABCTVEvent in exchange for coverage on my blog. No other compensation was provided. All thoughts and opinions expressed are my own. 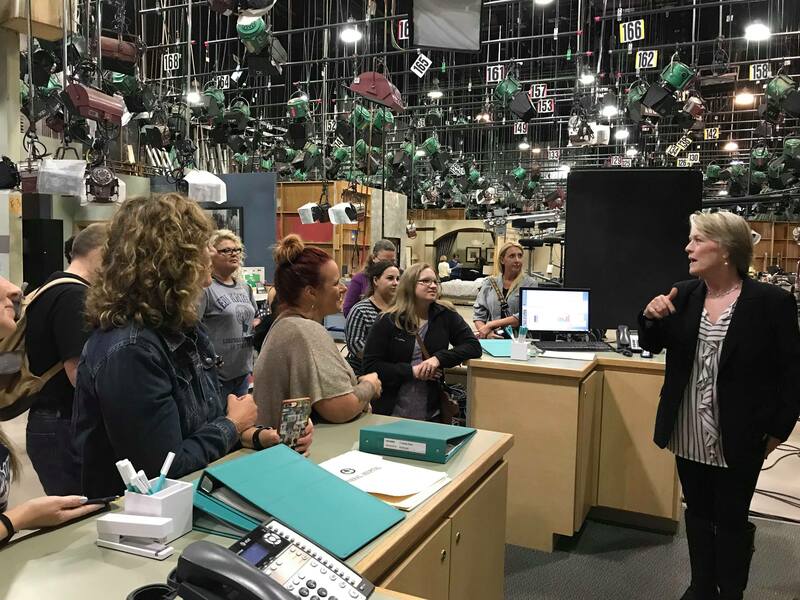 This past week, I had the chance to tour the set of General Hospital, the iconic American daytime soap opera that is celebrating 55 years on TV. It’s incredible to think that the writers and actors have been carrying this story line for longer than I’ve been alive. Daytime drama/soap operas are an American creation. To be carrying one evolving story line for 55 years is an incredible feat. Warning: fun staged photos ahead. I had a ton of fun posing in different scenes! 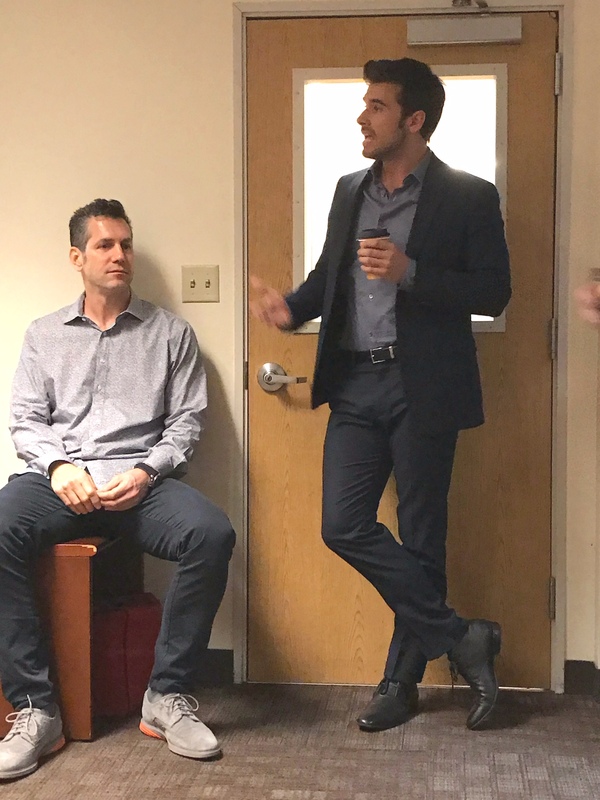 We had the awesome opportunity to tour the set and then hang out in the green room with Executive Producer Frank Valentini and actor Joshua Swickard, who plays “Detective Harrison Chase” while we enjoyed some delicious mini bundt cakes. We also got an exclusive sneak peek of Josh’s top-secret performance at the Nurse’s Ball. 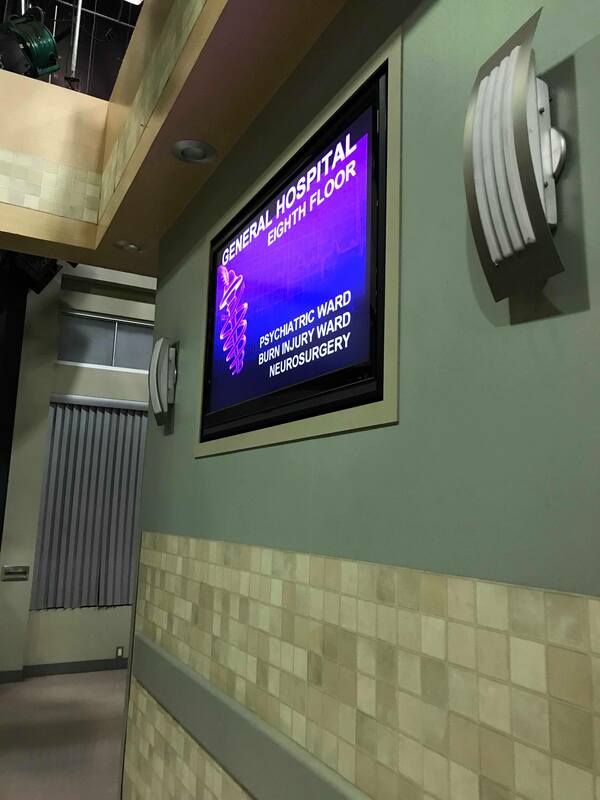 Trust me, if you have watched General Hospital at all recently, you won’t want to miss the Nurse’s Ball (which airs May 16-21, 2018). There’s something magical about being on a working set. 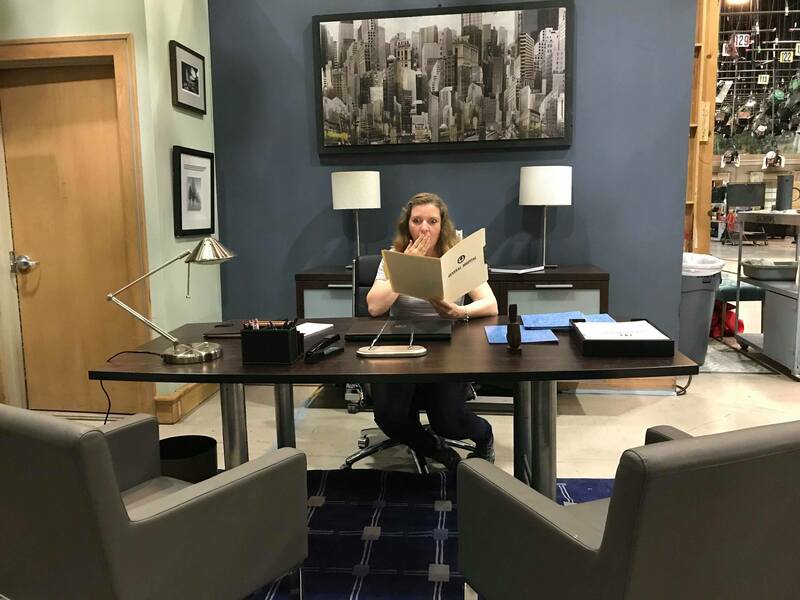 I was fascinated to learn that they switch sets around regularly (ie, one week, they’ll have Maxi’s living room up in one spot, and the next week they’ll take it down to make room for another scene). They also use “frags” or fragmented sets to save space and time. 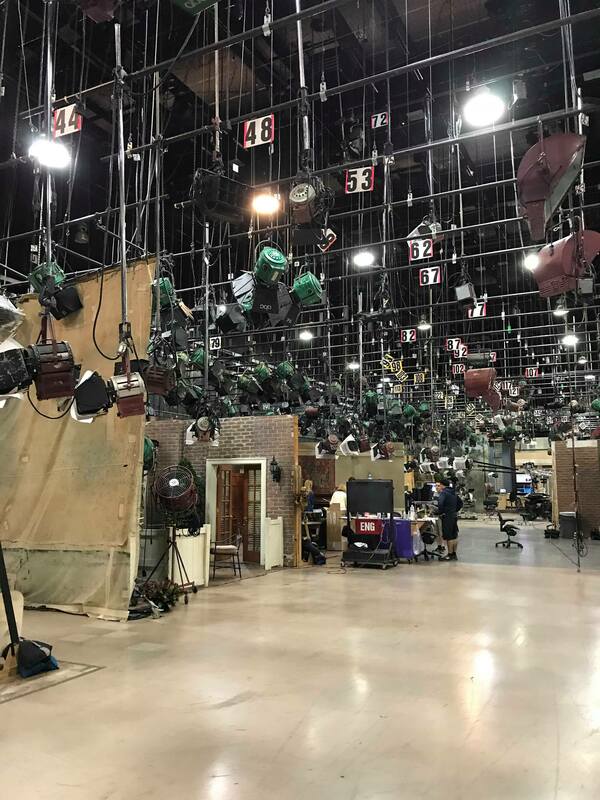 Basically, they’ll set up a corner or a small section of a restaurant or another large setting when they only have to film a small portion of the scene. The snacks in the vending machines and drinks at the restaurant bar have been around for YEARS. Don’t eat or drink them! In fact, the vending machines don’t even work. There are snacks in the bottom just waiting for an actor to grab. The pens in the pen holders at the nurse’s stations in the hospital are glued in place so that pens don’t accidentally walk off! The drinking fountains don’t actually work! The actors just lean over like they’re drinking, and water sound effects are added later during editing. It’s amazing how much the producers of General Hospital are able to do with a small budget. They often reuse or repurpose sets. For instance, in the hospital, they use the same set-up but change the floor numbers and signs. Throughout the set, they reuse walls and furniture and props. One really “hot” topic of conversation during our tour was story lines with fires and earthquakes and other natural disasters. Natural disasters are really difficult, complicated, and expensive, so the writers try not to add too many of those types of elements in the story line. Remote shooting is really expensive, so they don’t do many location sequences anymore. Even outdoor scenes are limited to every 6 months or so, and those are often shot at a small park next to the studio. Filming a day time drama like General Hospital is a lot of work. They film throughout the year, with only 16 “dark weeks” spaced out over the year (versus prime time shows that film the whole season in a few months). 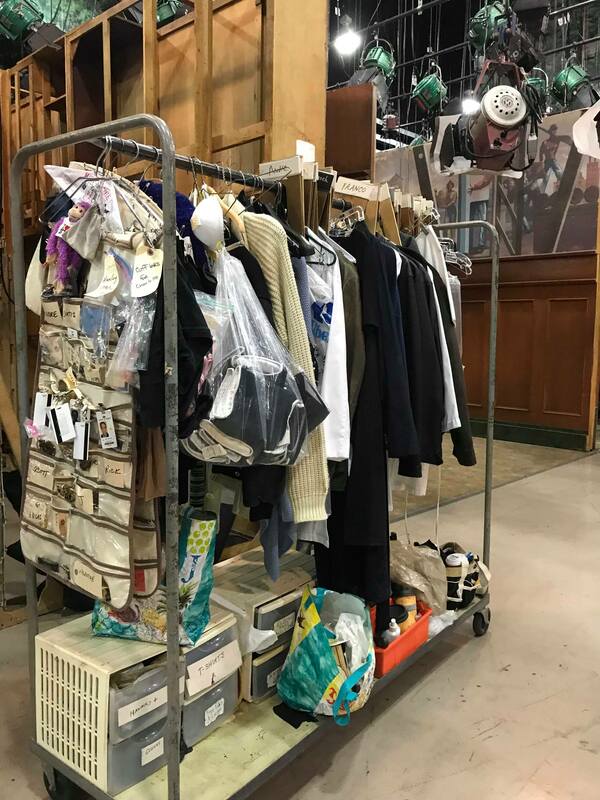 The shoot an average of 6 shows or so per week, and rarely work on the weekends, except for “extra” preparation like they needed for the Nurse’s Ball episode. Filming a day time drama is a lot of work! And because the story line is continuous, daytime actors tend to stick around for longer. 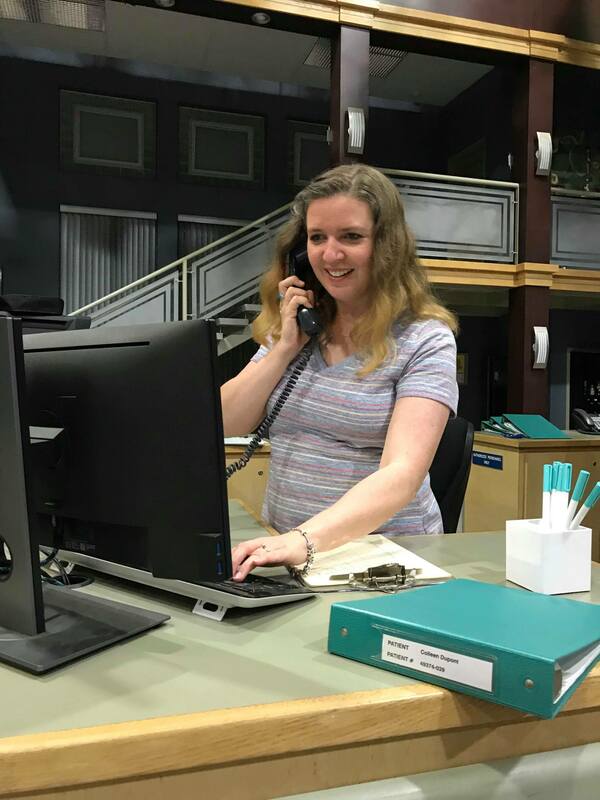 It’s almost unheard of in the entertainment industry to go to the same job for 15-20 years, but it’s not uncommon for soap opera actors! Not only do the actors stick around for longer, but the fans do, too. 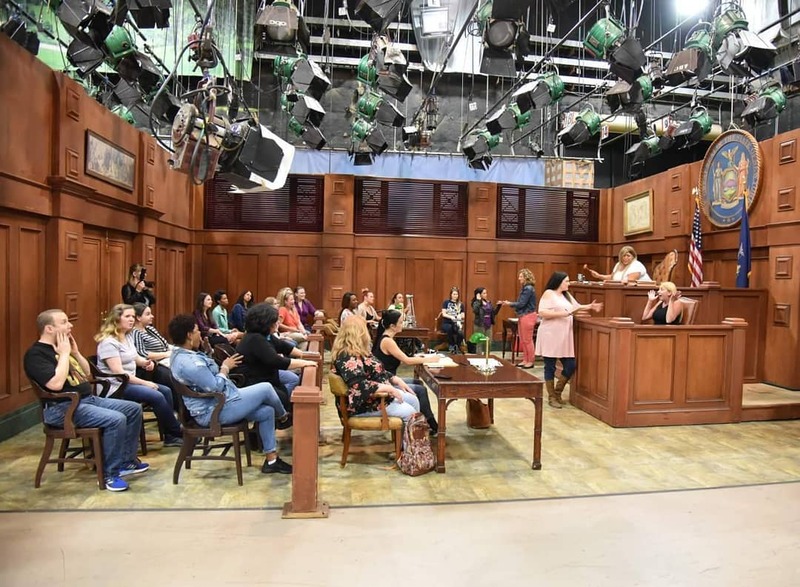 Executive Producer Frank Valentini is proud of General Hospital’s strong Family connection – fans have watched when they were kids with their moms or grandmas and now they’re watching as adults. Frank Valentini mentioned that he and the General Hospital team of writers feel a great sense of responsibility in the stories that they tell. They recognize that there are ways to tell stories that change people’s lives. They have recently been following an Alzheimer’s story line and have learned a lot in the process. For instance, did you know that 2 out of 3 people with Alzheimer’s are women? Most of the Alzheimers caregivers are women as well. 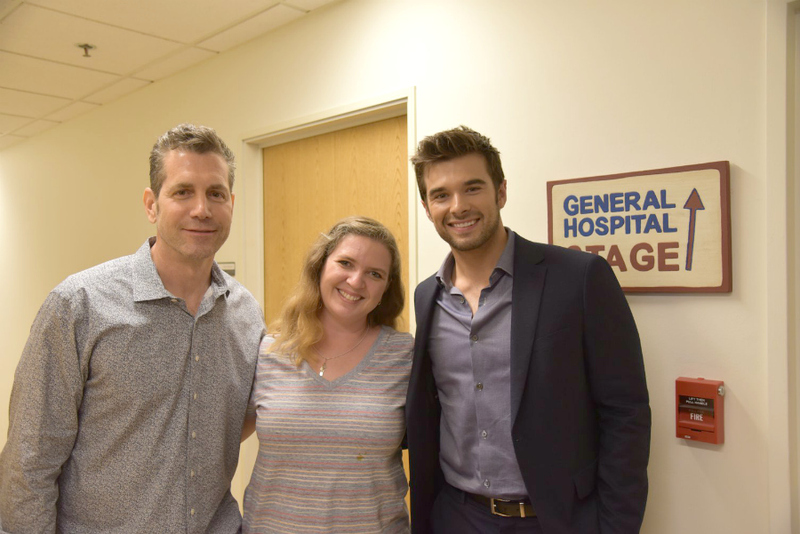 Are you a General Hospital fan? Did you ever watch it with your mom or your Grandma? I know I did! Make sure to tune in to upcoming episodes! I know a few things that are going to be happening and you’re not going to want to miss a thing! 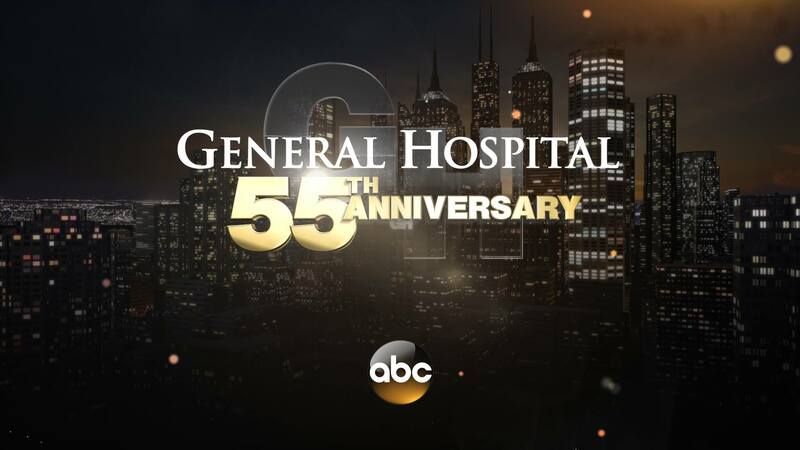 Watch GENERAL HOSPITAL weekdays on ABC (check your local listings) or streaming or on the ABC app. I used to watch General Hospital a long time ago. This would have been a lot of fun to be on the set. You got to go on the set of GH??? I am so incredibly jealous! I have been watching GH since the late 70’s. haha A very long time. How exciting and fun. 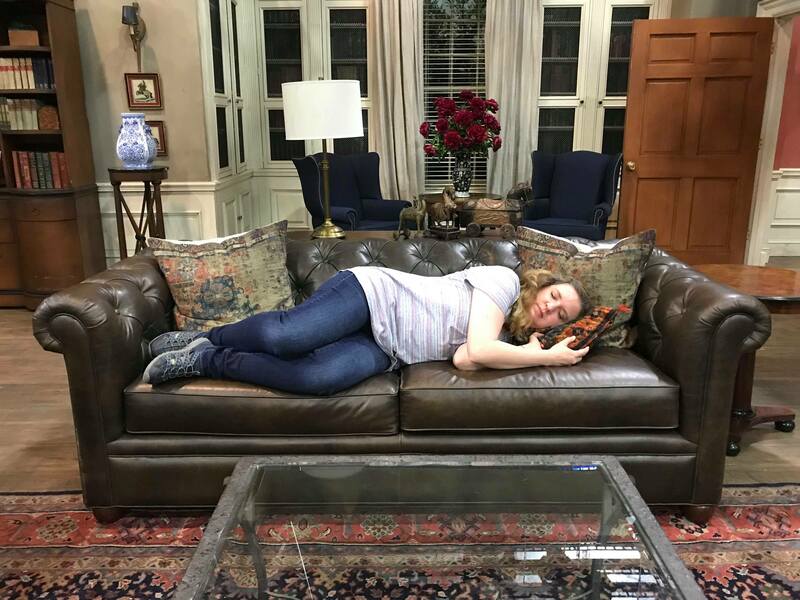 You got to lay on the Quartermaine couch and visit the Nurse’s Station! Not to mention meet Frank Valentini and the newest cast member. Isn’t it so cool?? I watched (loosely) with my mom in the late 70s, too!